War Grave Register notes: GIBBON, Tpr. Harold, 850. 11th Australian Light Horse. 7th Aug., 1916. Age 31. 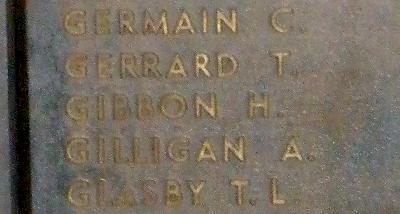 Son of Edward Harvey Gibbon and Alice Eliza Gibbon, of King St., Shaftston Avenue, Kangaroo Point, Brisbane, Queensland. Native of Waimate, Canterbury, New Zealand.